Hellooooo February, you strangely spelled month you. The month of bitter cold, lots of chocolate and luvvvvvvvv. It’s nasty as all hell outside in Brooklyn this morning, so let’s dive right into this bright, shimmery stirred cocktail with 18.21 Bitters! For my posts on 18.21 Bitters, I’ve decided to change the format from one giant “You’re So Kind” post to individual posts. The 18.21 Earl Grey bitters are everything I wanted them to be, namely, they are potently Earl Grey. When I opened the bottle and sniffed the fabulous Earl Grey aroma, my brain said “GIN”, so I agreed. 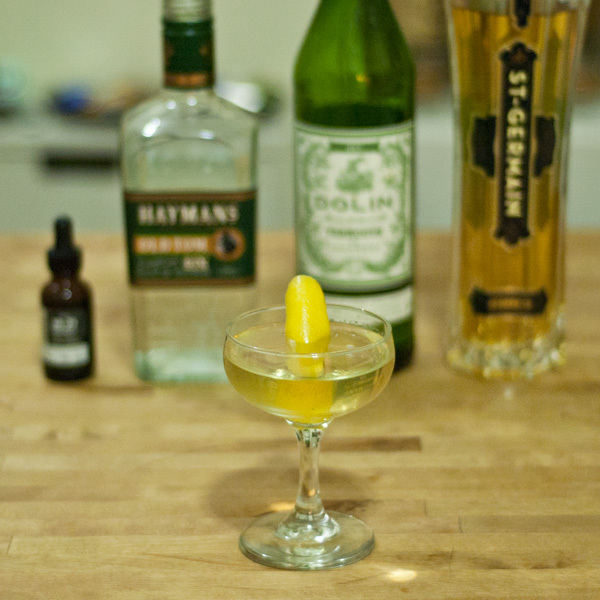 Then my brain said, “in the style of a martini but with just a touch of Sunshine” (aka St-Germain) and here we are. Combine ingredients over ice and stirrrrrrrrrrr. 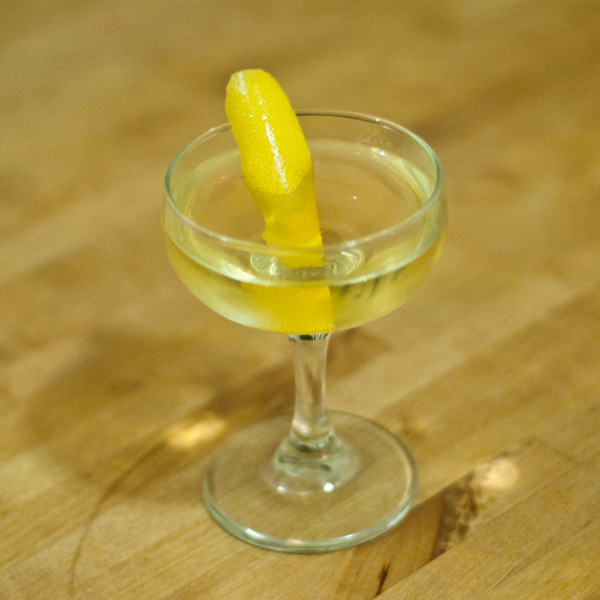 Strain into coupe, express Lemon peel and garnish. Thanks to 18.21 Bitters for these wonderful Earl Grey bitters! They’re so kind! I will be using the Earl Grey with more Gin, Tequila and Pimm’s. I just need to get the Pimm’s back in my home bar!